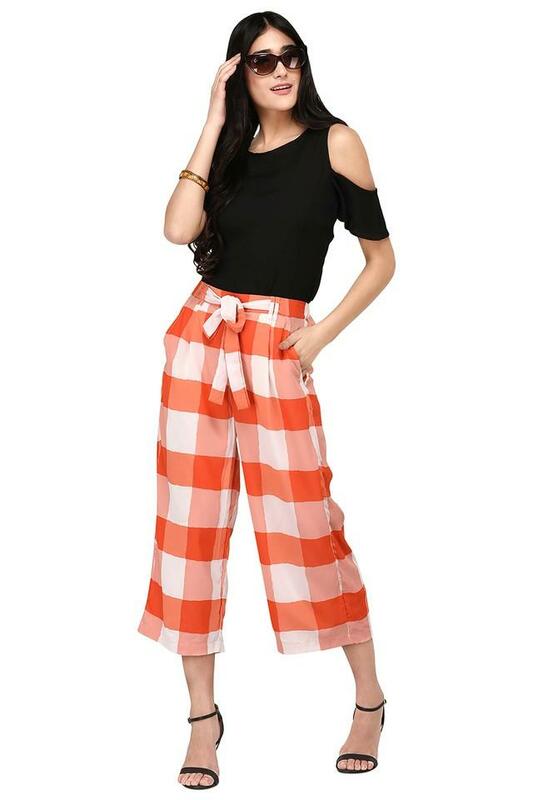 Look elegant by wearing this pair of culottes brought to you by Purys. It comes with a check pattern in an attractive colour combination that makes it score high on the fashion metre. Besides, the use of fine quality polyester ensures utmost comfort and easy maintenance. 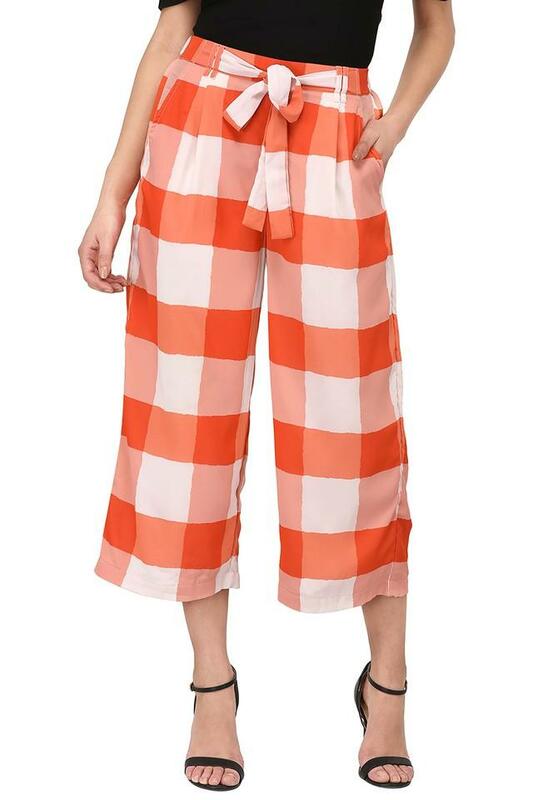 Moreover, it comes with an elasticised waistband that makes it convenient to wear. 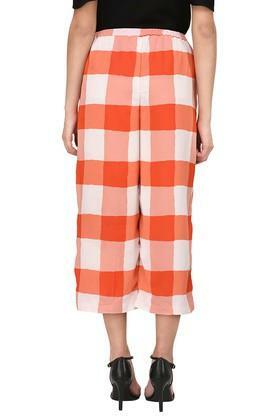 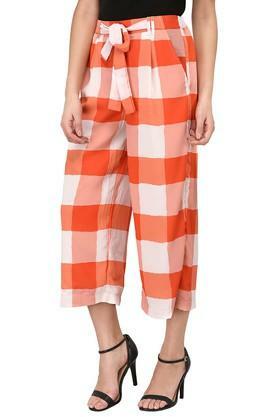 Modernise your casual collection by adding this pair of culottes, which features a check pattern. You can combine it with a trendy top and a pair of ballerinas to put your best foot forward.